Also, this episode introduced us to the concept of prune juice as a warrior’s drink. Artie and Brother Adrian, 350 years in the future and 20 or so years in the past. So, “Tin Man”. I am so sick of seeing this episode. Despite the appearance of the Mayor of Sunnydale** as Troi’s old friend/protege/patient in an well-acted role, the episode as a whole just did not do it for me — not in the 1990s, and not in the 2010s. Perhaps I had a bad taste in my mouth from “Booby Trap”, which was another episode I really didn’t care for; perhaps I don’t like Troi episodes; perhaps I didn’t like the resolution. Whatever it was that makes people like this episode, I just don’t share their feelings. As for “Sarek” — while Mark Lenard and Patrick Stewart turned in amazing performances and this story did give us deep insight into the Sarek/Spock relationship (that would later be paid off in “Unification”), I didn’t think the episode itself was all that great. In fact, it was mostly an average Trek story made better by the actors. It also seems to pop up a lot on “best-of” lists, and while that doesn’t necessarily mean it’s overrated, on my personal list I think it is. Mostly because I’m tired of it. Worst Missed Opportunity: I got the feeling the producers were trying to draw parallels to current events — “The High Ground”, “The Defector”, “The Hunted” — but as a young fan those episodes didn’t work for me and as an adult they seem hopelessly dated (despite the fact that the issues are still important). 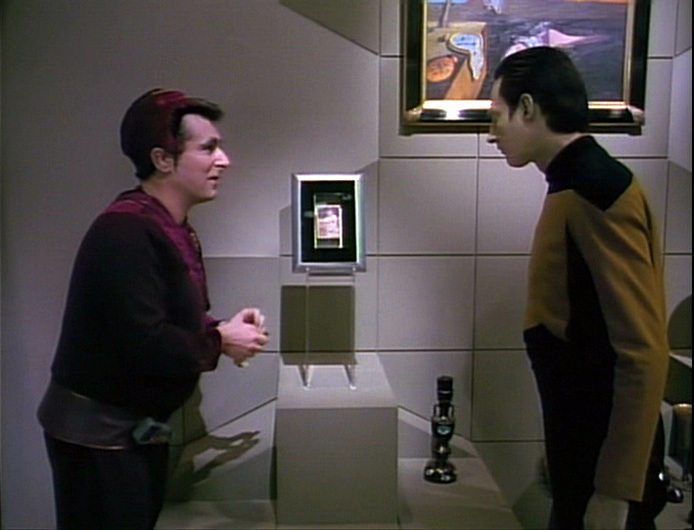 As with TOS‘s allusions to race issues and Vietnam, so too TNG‘s will have to stand alone on the merit of the episode itself without having the issues of the day as a backdrop. When my grandchildren inject memory engrams of TNG and experience these episodes, they won’t have any frame of reference as to why they were done the way they were, and without the issues, the episodes themselves are sometimes too mediocre to be memorable. The issue-based episodes simply needed to be better. Strangest Thing: This isn’t negative, per se, but it was amazing to me how many not-so-good episodes there were in one of my favorite seasons. “Booby Trap”, “Hollow Pursuits”, “Transfigurations”, “The Hunted”, “The High Ground”… maybe they weren’t bad episodes, but I didn’t like them. I guess when you have to fill 26 episodes with stuff that can only tangentially call back to other story arcs, you get stuck putting out stories that people don’t like. 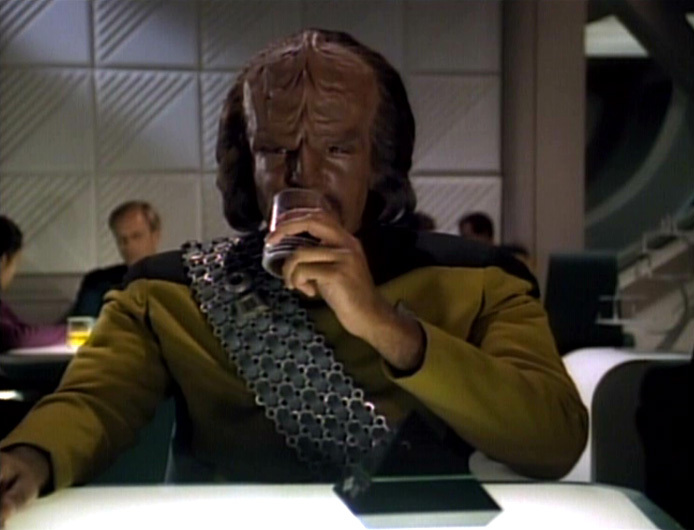 Also, I’m kind of impressed the networks even bothered to bring TNG back after the fiasco that was Season Two. I’m glad they did, though. * Laugh if you want, but if you like TNG and Buffy, you want to read this story. It’s so good. Also, drink. ** Harry Groener, who was also on Las Vegas as Gunther the chef. Also, drink.